Jeff Choate, a former linebacker at Montana Western, has spent the past two seasons as UW's defensive line coach and special teams coordinator. Washington assistant coach Jeff Choate has been hired as the new head coach at Montana State, a UW source confirmed to The Seattle Times on Friday afternoon. Montana State officially announced his hiring later Friday. A press conference to introduce Choate in Bozeman has been scheduled for Monday morning. 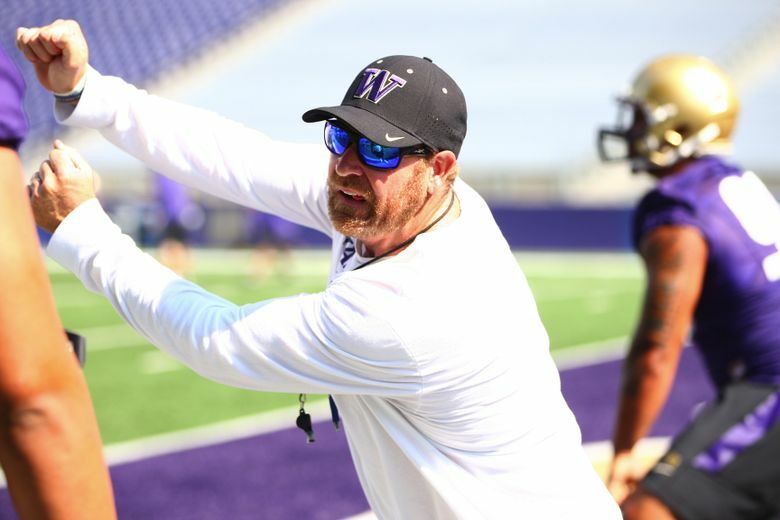 Choate, UW’s defensive line coach and special teams coordinator the past two seasons, was one of five candidates to interview for the job in person this week at Montana State. The other candidates to interview were Montana State offensive coordinator Tim Cramsey, former MSU offensive coordinator Brian Wright, Arizona State University co-defensive coordinator Chris Ball and Missouri associate head coach/receivers coach Andy Hill. Choate oversaw a defensive line that featured All-Americans Danny Shelton and Hau’oli Kikaha in 2014. This year, he coached a completely rebuilt defensive line, helping the Huskies lead the Pac-12 in scoring defense and total defense. Choate’s salary was $360,000 at UW this year, part of a two-year contract that expires for all UW assistants at the end of January. Former Montana State coach Rob Ash reportedly had a salary of $256,000. He was an assistant at Florida in 2012, Washington State and 2013 and worked as an assistant on Chris Petersen‘s staff at Boise State from 2006-11. An Idaho native, Choate played linebacker at Montana Western, earning his bachelor’s degree in 1993.